2019 is here and we are celebrating the New Year with a Target giveaway! One lucky winner will bring in the New Year with a Target shopping spree. Woo hoo! One lucky winner will get a $500 Target E-Gift Card. This giveaway is brought to you by the talented influencers you see above, be sure to check out their websites for some fun New Year’s posts! Enter by performing the actions listed in the Rafflecopter below for a chance to win! One winner, giveaway runs from January 1, 2019 to January 15, 2019 (concludes at 11:59 PM on the last day). Open to the U.S. and Canada only. Void where prohibited. By entering you are agreeing that you are performing the actions in the Rafflecopter that you have marked as done. By entering you acknowledge that you are agreeing to the newsletter subscriptions and all other terms & conditions of the giveaway. More giveaway details can be read in the terms & conditions here. Winner will be announced within 14 days of the conclusion of the giveaway and entries will be verified by the hosts. Thanks for participating, I can’t wait for you to get to know you more as you follow along! Disclaimer: Must be 18 years or older and live in the continental US to enter and be eligible for the the holiday gift giveaway series. 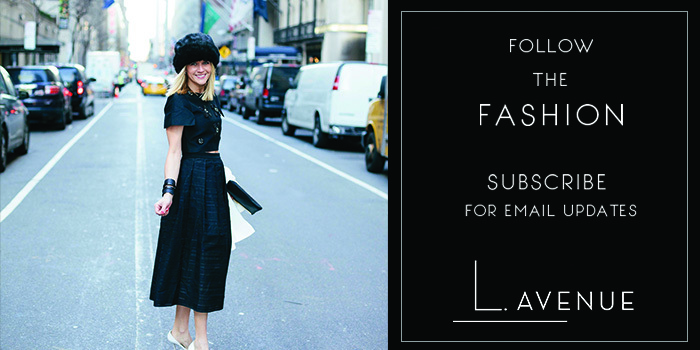 By entering, you are subscribing to L. Avenue.